As a healthcare worker injury attorney in Los Angeles and representing employees throughout California, I know that on the job injuries are all too frequent in the medical industry. Many Californians view the health care profession as a safe and profitable sector. While health care professionals such as doctors and nurses can look forward to stable and comfortable incomes, they should also be aware of the risks that are involved with working in the field. Despite its reputation as being a safe profession, health care is actually the most dangerous sector out of all of the different types of industries. 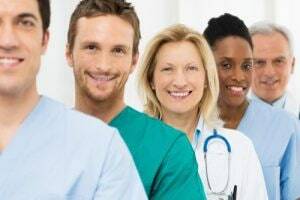 Health care workers who are injured on the job have rights, and an experienced personal injury lawyer in Los Angeles may help them to recover benefits to pay for their losses. Healthcare: The Most Dangerous Profession? The number of workplace injuries that happen in the healthcare profession each year far outstrips those that happen in other sectors. Each year, an average of 654,000 healthcare workers are injured while they are on the job. Out of those who are injured, 385,000 are stuck by needles, forcing them to undergo anti-HIV prophylaxis treatments. Many workers view the most common types of injuries as just part of the job. When they do not seek treatment for those injuries, they can worsen and cause more problems. Health care workers are prone to several types of injuries because of the requirements of their jobs. Many nurses are injured when they are lifting patients. While they may have lift equipment to help, some nurses avoid using the equipment because of a perception that it takes too much time and is cumbersome. As a result, back injuries and foot injuries are commonplace among nurses. They are also prone to be injured when they are stuck by needles, and they may have other instances of being exposed to pathogens and blood. Doctors likewise may suffer needle sticks and exposures to blood and disease-causing organisms. Some workers slip and fall on slick hospital floors, suffering other injuries. In addition to the most common types of injuries, health care workers are also at a much greater risk of being the victims of workplace violence. The industry accounts for 45 percent of the cases of violence each year. Violence may erupt because patients do not feel well and are uncertain about what will happen to them. In some cases, the family members of patients may erupt in violence directed at nurses or doctors who are caring for their ill loved ones. Between 40 and 75 percent of healthcare workers have suffered from physical or emotional abuse at work from their patients. While many workers think that workers’ compensation simply pays some limited medical bills, that is not the case. All employers in California must carry workers’ compensation insurance for the benefit of their employees, including hospitals and other healthcare companies. Health care workers who are injured or who contract debilitating illnesses at their jobs are eligible to apply for workers’ compensation benefits. These benefits may pay for multiple things. If you are injured or learn that you have developed a work-related disease or condition, you must notify your employer as soon as possible. You can then submit a claim with your employer for workers’ compensation. Workers’ compensation benefits pay for all of your related medical costs. This includes the cost of your doctors’ appointments, medical tests, prescription medications and physical rehabilitation. Any expense that you have because of your injury condition is covered, and you will not have to use your own medical insurance or pay copays. In addition to your medical expenses and rehabilitation costs, California law provides temporary disability benefits to workers who are temporarily unable to return to work while they recover. If the workers are totally or partially permanently disabled, they may also recover permanent disability benefits. A number of benefits that you might receive will depend on your disability rating. If you disagree with your rating, you are able to challenge it. Some insurance companies may dispute that workers are permanently disabled, necessitating litigation before administrative hearing officers. If a third party (someone other than the employer) has committed some type of negligent or wrongful act, the injured worker may also have a claim for personal injury. Examples of third parties in this context may include patients, manufacturers of faulty medical equipment, or third party vendors or suppliers. If you are a healthcare professional who has suffered a work-related injury or illness, you have rights to recover benefits. An experienced personal injury attorney in Los Angeles may help you to recover the benefits for which you should be entitled. If your employer or the insurance company disputes or denies your benefits claim, an attorney may advocate for you by litigating on your behalf through the administrative process. As part of the process, an attorney may help you to gather the medical evidence that you might need to build a strong case. Contact us today to schedule your consultation and to learn how we might be able to help you.